Università Cattolica, Milano Previously the organizing institutions were IMATI CNR and Dipartimento di Economia Politica e Metodi Quantitativi, Università di Pavia. The school aims to present state-of-the-art Bayesian applications, inviting leading experts in their field. Each year a different topic is chosen. Past editions were devoted to Gene Expression Genomics, Decision Modelling in Health Care, Spatial Data in Environmental and Health Sciences, Bayesian Methods and Econometrics, Bayesian Decision Problems in Biostatistics and Clinical Trials, Bayesian Methodology for Clustering, Classification and Categorical Data Analysis, Bayesian Machine Learning with Biomedical Applications and Hierarchical Modeling for Environmental Processes. The topic chosen for the 2012 school is Stochastic modelling for systems biology. The lecturer will be Darren Wilkinson, School of Mathematics and Statistics, Newcastle University, United Kingdom. He will be assisted by Raffaele Argiento (CNR IMATI, Italy). This course will advocate a Bayesian approach to modelling and inference for dynamic stochastic models of biological systems. An introduction will be given to the theory of Markov processes in continuous time, and their application to biological modelling. Examples will include simple models of populations and epidemics, Lotka-Volterra predator-prey systems, and biochemical network dynamics. Discrete state jump processes and associated diffusion approximations described by stochastic differential equations will be considered, with a strong emphasis on algorithms and computer simulation. Observation models and time course data will be introduced, leading to hierarchical Bayesian dynamic state-space models with intractable transition kernels. Bayesian inference for models of this type will be considered, and several different algorithms will be illustrated. Particular emphasis will be placed on "likelihood free" methods of inference, including approximate Bayesian computation (ABC) and particle MCMC (pMCMC) algorithms. Full use will be made of samples from the posterior distribution, which will be used to investigate convergence, parameter identifiability, and confounding. Difficult inferential issues such as model validation and selection and the identification and separation of intrinsic, extrinsic and observational noise components will also be examined. The course will emphasise model development, simulation and computationally intensive methods of inference based on realistic examples. It will begin with a short introduction to Markov processes in continuous time, together with simple examples of birth-death and predator-prey models, and algorithms for discrete-event simulation. This will be followed by a review of Bayesian inference for hierarchical latent process models and state space models, and associated computational algorithms. Likelihood free (LF) methods of Bayesian inference will be introduced and applied to Markov processes. We will begin by looking at (sequential) ABC and LF-MCMC methods, before progressing to more advanced methods, utilising particle filters and ideas of "exact approximate" MCMC. The particle marginal Metropolis Hastings (PMMH) pMCMC algorithm will be described, for simultaneous estimation of model parameters and state. Analysis of the posterior distribution will be discussed in the context of several examples. Once the inferential framework is established, an introduction will be given to the modelling and stochastic simulation of biochemical networks based on stochastic Petri nets and the theory of stochastic chemical kinetics. Stochastic differential equations (SDEs) will be informally described, and the chemical Langevin equation will be derived as a diffusion approximation to a discrete stochastic chemical kinetic model. Bayesian inference for SDEs will be reviewed briefly, including efficient algorithms which depart from the likelihood free paradigm. Linear noise and moment closure approximations will be discussed if time permits. Sessions devoted to model building, simulation, and inference will supplement the lectures and code for illustrative examples will be provided. The school will make use of lectures, practical sessions, software demonstrations, informal discussion sessions and presentations of research projects by school participants. The slides and background reading material will be distributed to the students before the start of the course. The prerequisites for this course will include basic knowledge of algebra and calculus, probability, statistical modelling, and data analysis. This course will be beneficial to graduate students, post-docs and researchers both from academia, government, and industry whose area of activity is Statistics, Modelling, Bioinformatics, Systems Biology, Ecology, Mathematics, Computer Science, and Engineering. Some knowledge of Bayesian Statistics and MCMC is desirable, but not required. Prospective students may wish to refer to the book Stochastic Modelling for Systems Biology, second edition by Darren J Wilkinson (Chapman & Hall/CRC Press, 2011) for an indication of content and coverage, as this text will provide the foundational material for a substantial component of the course. The school will be held in the conference room of the Pavia department of IMATI CNR (Via Ferrata 1). 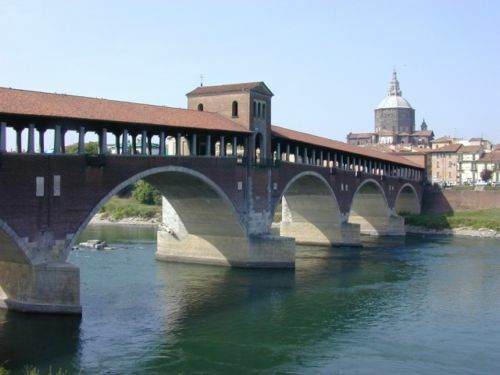 The practical sessions will be hosted by the Department of Mathematics of the University of Pavia. We are very grateful to the Department and its Ph.D. Programme in Mathematics and Statistics. The school will start on Monday, September, 3rd, at 14.00 and it will end on Friday, September, 7th, at 13.00. Welcome cocktail and farewell dinner are planned on September, 3rd and 6th, respectively. Participants will have a free afternoon on Wednesday, September, 5th. Public servants in Italian institutions are exempt from the VAT payment. EUR 800 (661.16 + 21% VAT) for all the others including teaching materials, two lunches (4/9 and 6/9), welcome buffet (3/9) and farewell dinner (6/9). For late payments (after May, 31st, 2012) please add 50 euros (41.32 + 21% VAT). Detailed fees are described here. Participants interested in a bed and breakfast, single room accommodation for 4 nights (arrival 3/9 and departure 7/9) at the nearby Collegio Volta should pay an extra 250 euros (40 single rooms with private bathrooms, wi-fi connection and breakfast [from vending machine], are available in this student dorm at 200 meters from the school location).